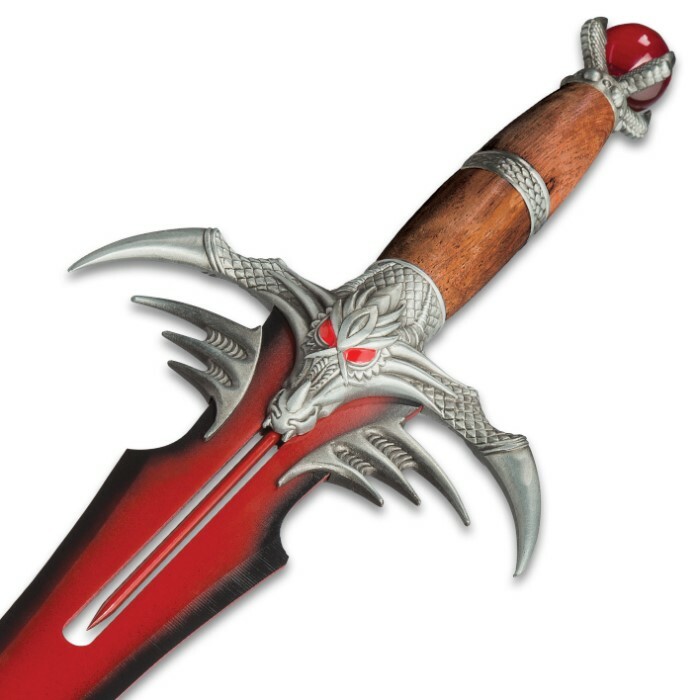 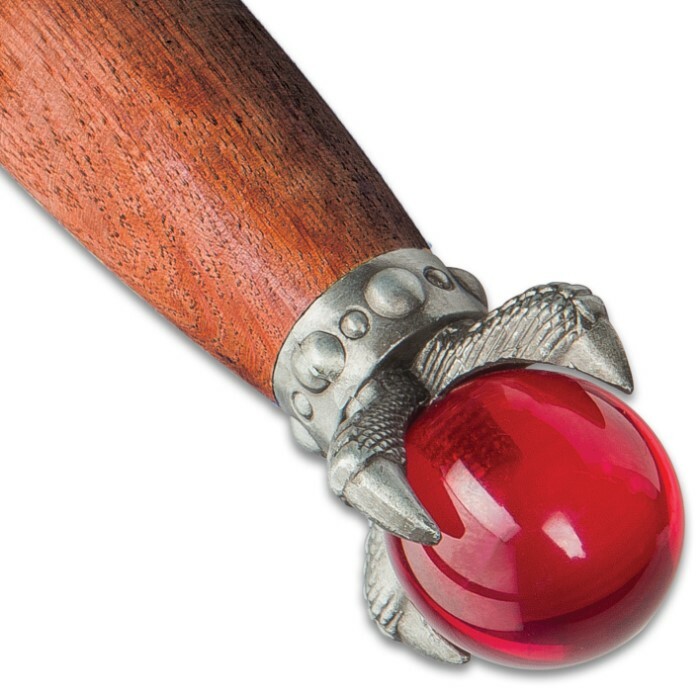 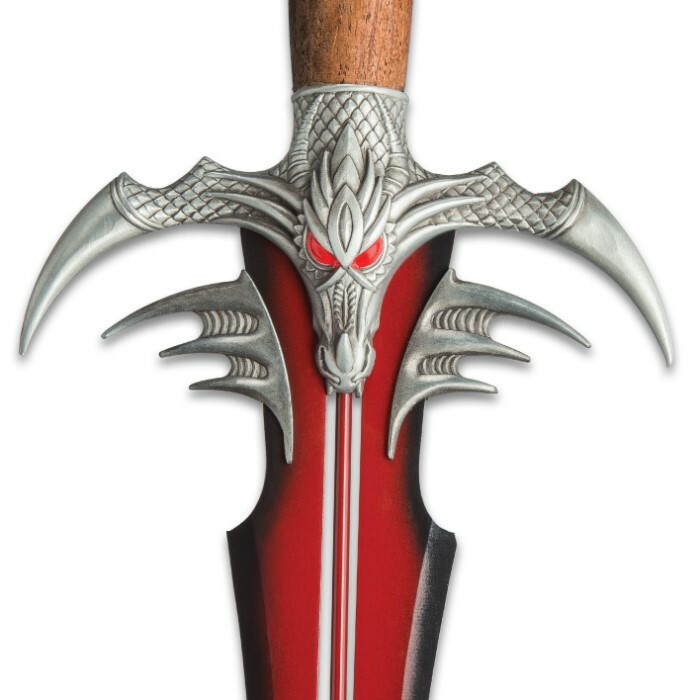 The Red and Black Fantasy Dragon Sword is definitely a showpiece for you home or office with its talon-like accents and a red glass ball in the pommel. 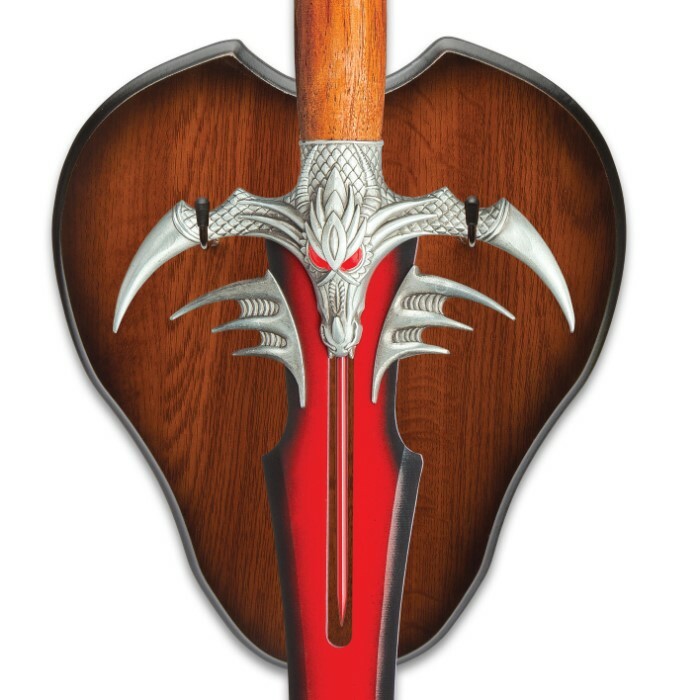 This sword is completely dragon from tip to handle and features an antique silver dragon wooden handle. 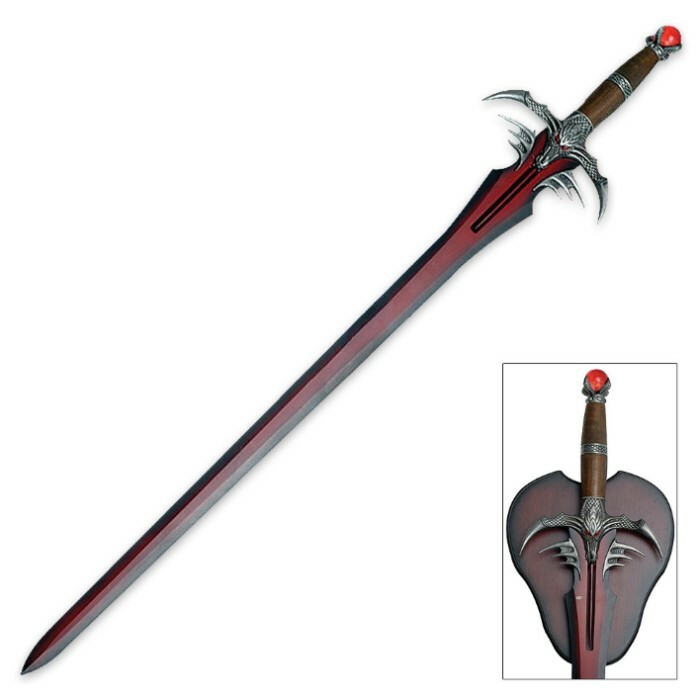 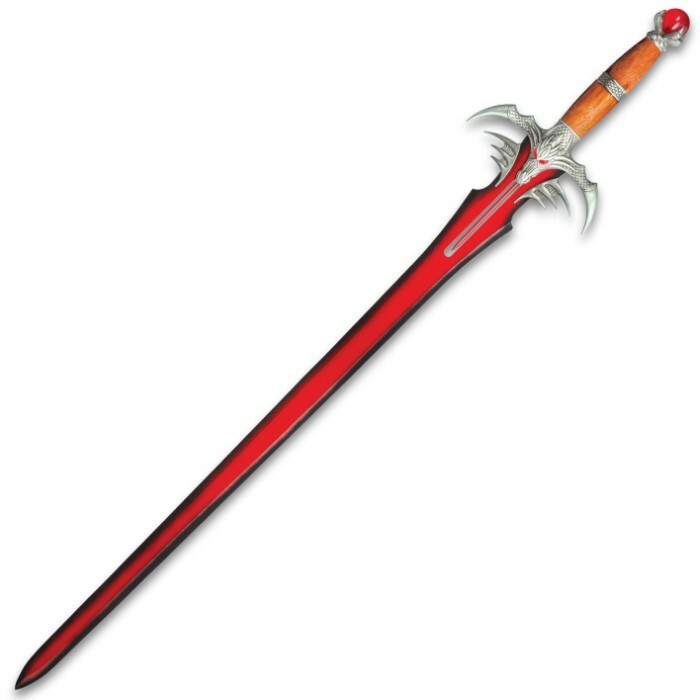 The stainless steel blade is red and black two-tone and this sword is 42 1/2” in overall length. 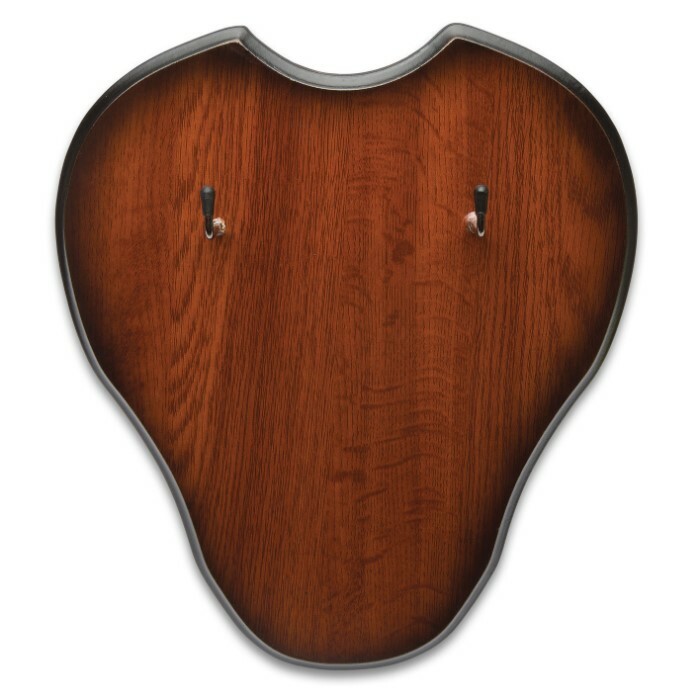 The included wooden display plaque make is easy to showcase.